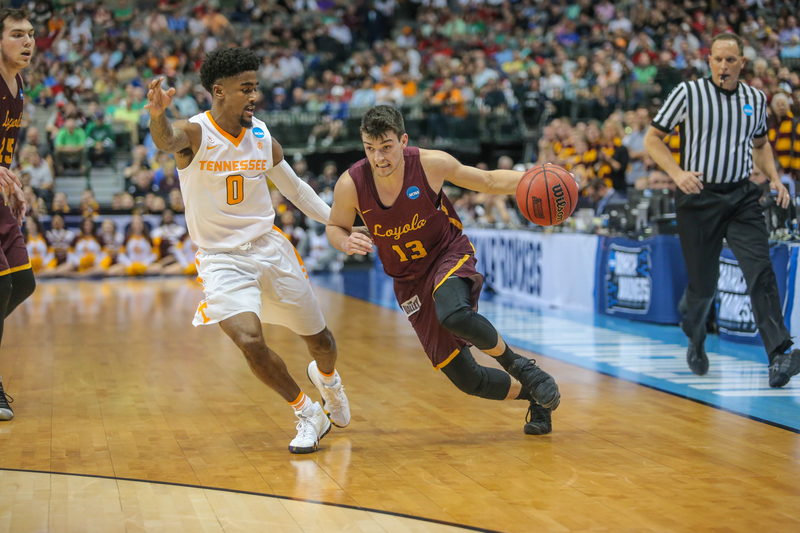 Here we will look at some of the ball screen sets Loyola-Chicago uses to initiate its offense. Click on a play to download it to your FastDraw library. Loyola-Chicago’s opponent in the Sweet 16 is also somewhat of a Cinderella story in 7-seed Nevada, who runs some creative and effective offensive sets as well, like this Double Stack action. Looking forward to watching the #XsOs of this matchup! Related Post: Treat the NCAA Tournament like a free coaching clinic! Follow Matt Wheeler on Twitter and view all of his contributed plays to the FMS PlayBank.